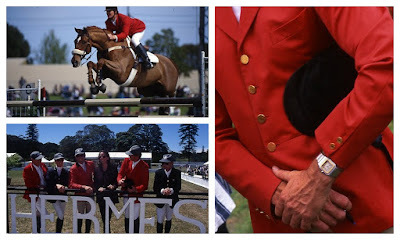 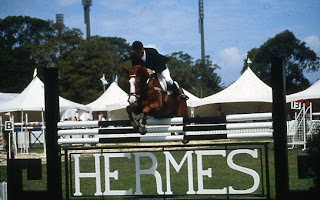 One of the largest events that I have ever worked on would have to be the Hermes International Showjumping Event in Sydney. 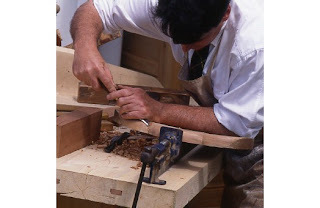 It took months of preparation in our workshop creating all the display for the day. 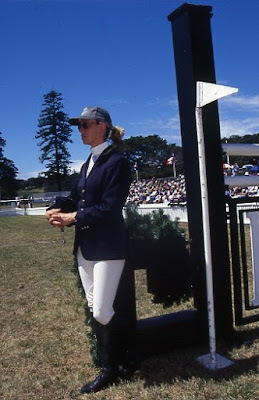 Every stone urn was filled with huge succulents from the Sydney Flower Markets. 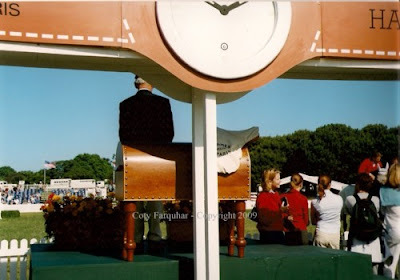 Andrew and I made beautiful white timber Hermes boxes complete with the Hermes logo which were used on all the tables in the private Hermes Tent and also for the trees around the arena. 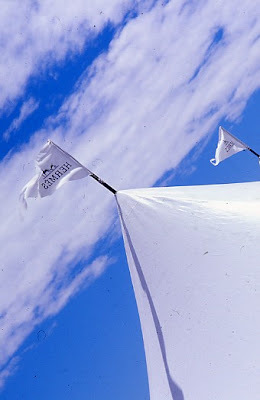 We made many large adorable cut out white Hermes Horses that were positioned along the front lawn of all the corporate tents. 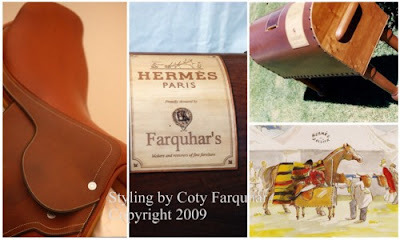 Each horse had a little Hermes saddle that we made especially for the day. 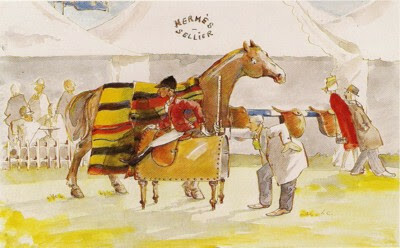 Andrew and I made for Hermes a full size saddle seat based on the illustration below of a lovely gentleman having his saddle tailor made. 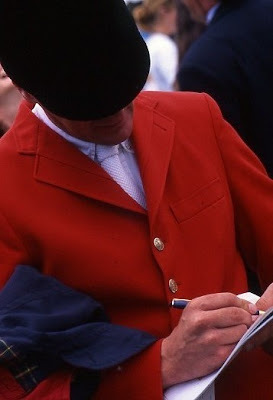 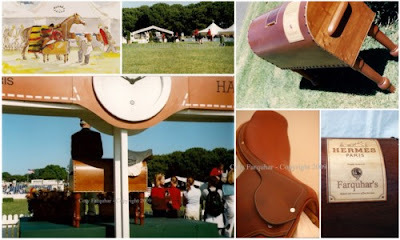 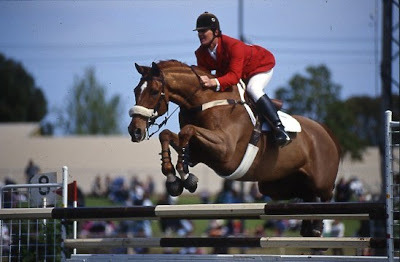 The saddle seat was used each year on stage proudly holding the winning Hermes saddle, it also doubled as the raffle box and we put a little door on the top. 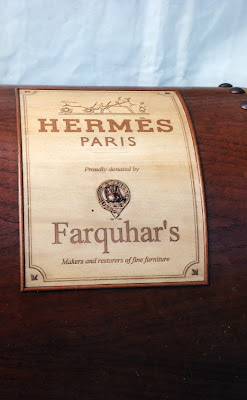 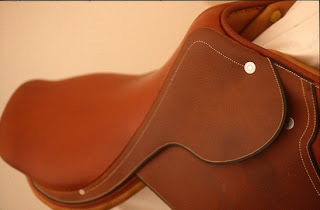 As you can see in the photograph below, there is a panel of inlay on the saddle seat with both Hermes Paris and our Farquhar logo. 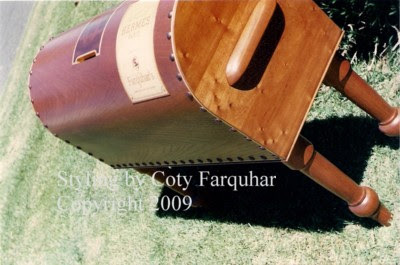 The saddle seat was on display for many years in the reception at the head office of Hermes in Sydney until Mrs Patricia Galloway Campbell left and she returned it to our workshop in Bowral. 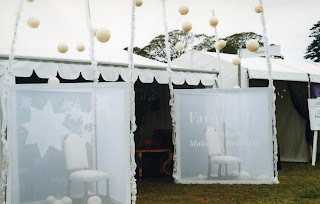 The saddest part about this whole event was that my camera was stolen on the day of the event with over 20 rolls of film. 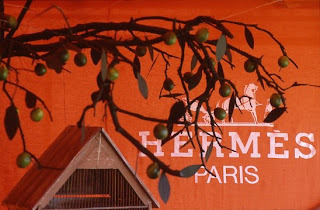 Hermes very kindly had my camera replaced, however all of film that showed our work over the weeks of setting up was all gone. 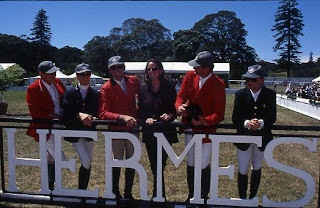 I cried for hours and hours all the way home to Bowral. 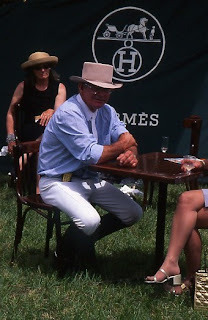 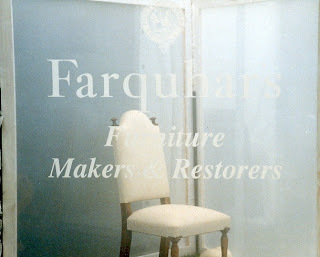 Each year Andrew's furniture ://farquharsfurniture.blogspot.com/ held an exhibition with Hermes as well. 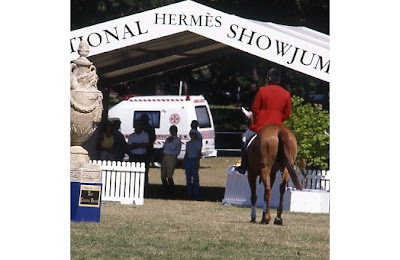 There was a beautiful area as you entered to the Showjumping called the Hermes Village, there rows of very pretty tents filled with wonderful boutique shops, food, wine and us of course. 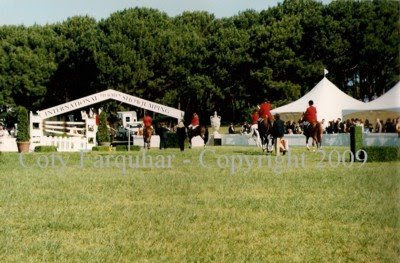 Labels: ANDREW AND COTY FARQUHAR, WEDDINGS AND EVENTS.